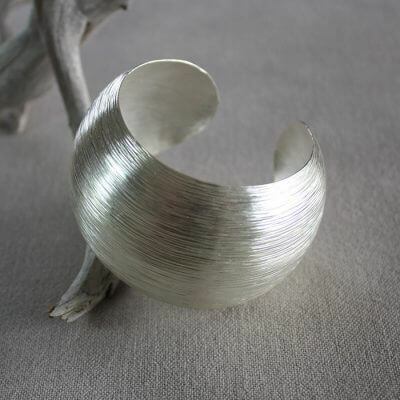 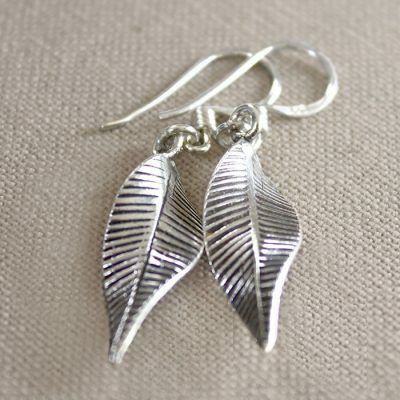 If you are looking for some unusual silver earrings, these may be the ones! 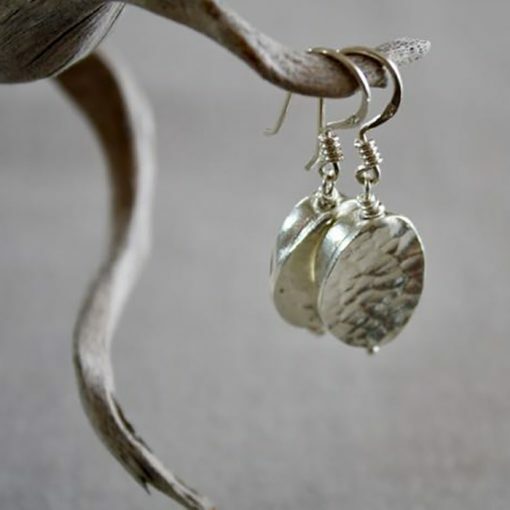 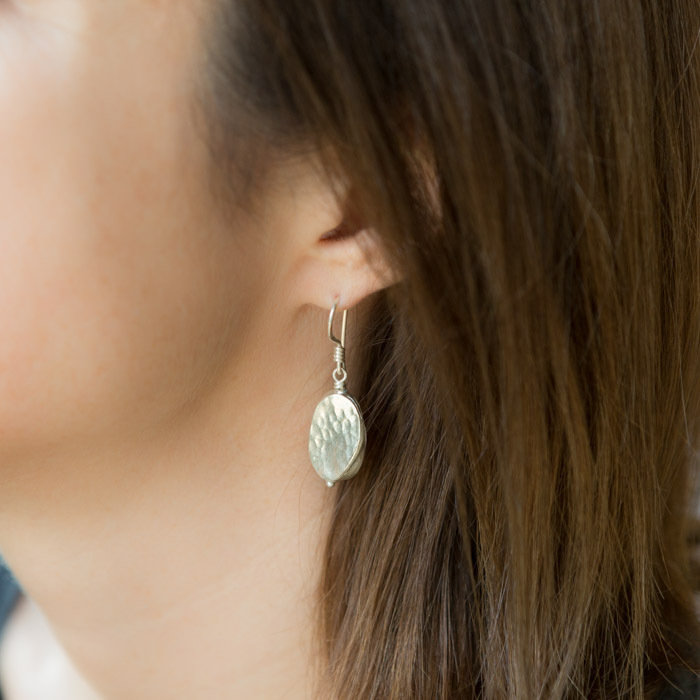 Another addition to our popular hammered silver jewelry, these silver earrings have a subtle hammered finish, which just adds that little extra texture and contour to their simple lines. 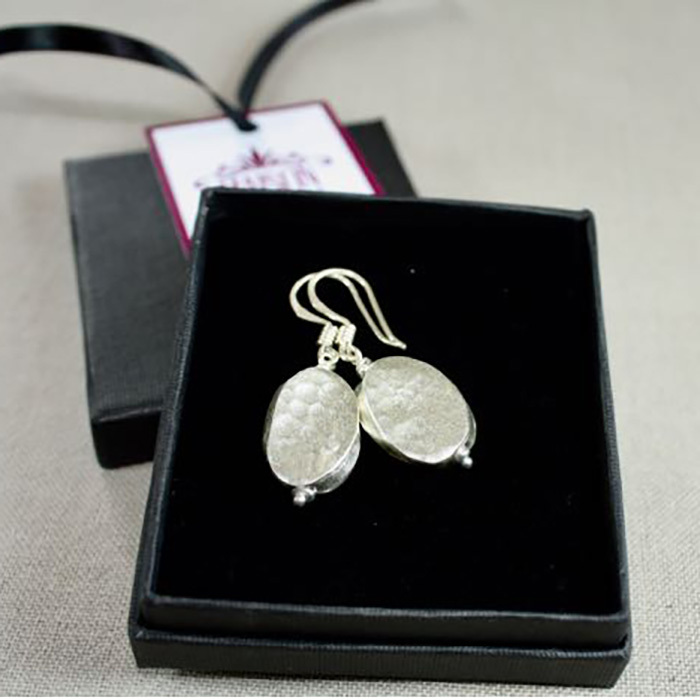 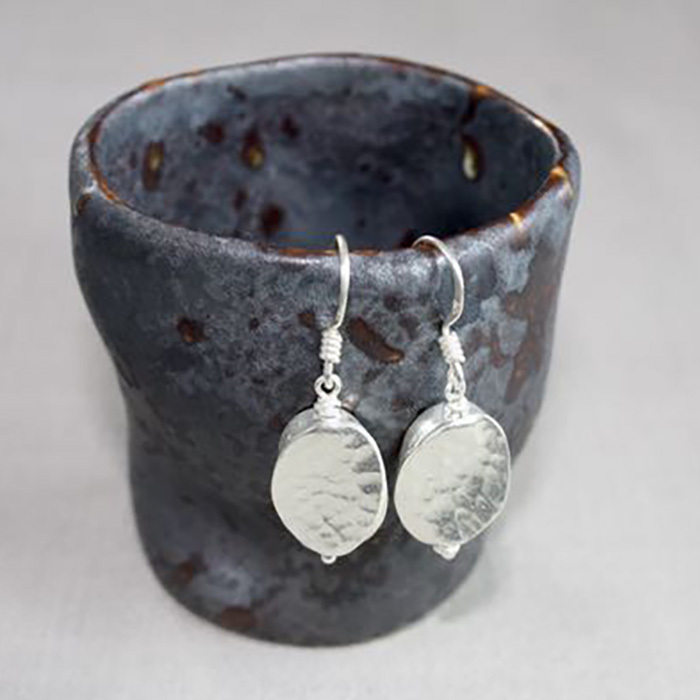 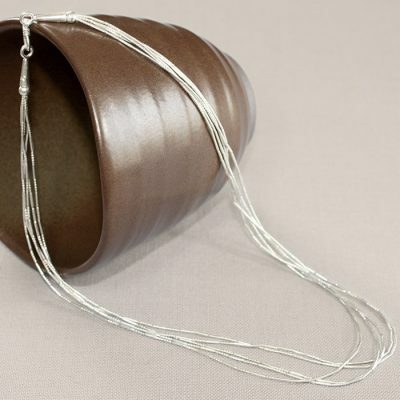 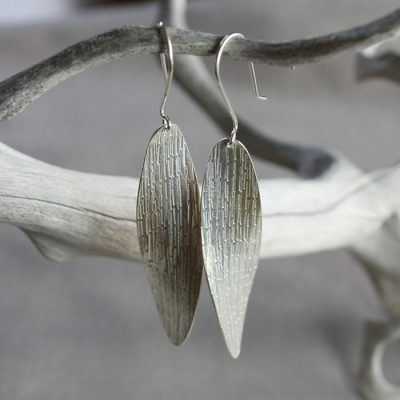 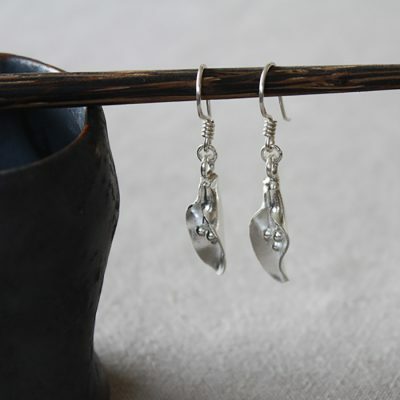 You can also match these earrings to our Hammered shapes silver necklace in a unique set.